I just returned from the annual Stampin' Up! Convention in Salt Lake City. It was more spectacular than ever. I left home with a 1/2-empty suit case and returned with a bulging bag filled with all the wonderful free goodies - 7 stamp sets, 2 different Designer Series Papers packs, Gold and Silver glitter, rolls and rolls of washi tape, new carve-your-own stamps product announced at Convention, a Paper Pumpkin kit, a decorative banner kit, and more and more -- FREE!!!. 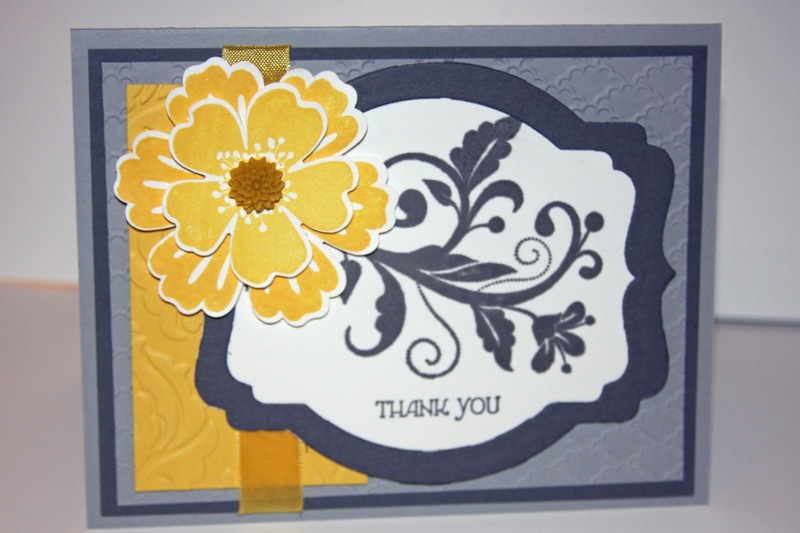 The best Stampin 'Up! Convention ever! I'll show you the swaps I made for convention and some of the nice swaps I received in return over the next few days. Loved this years Bags! 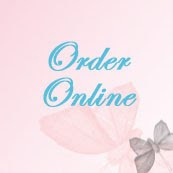 White back packs with lots of pockets for catalogs, supplies cell phones and more! We received them as a surprise during our first session - Thursday evening. 6,000 white back packs with Stampin' Up! 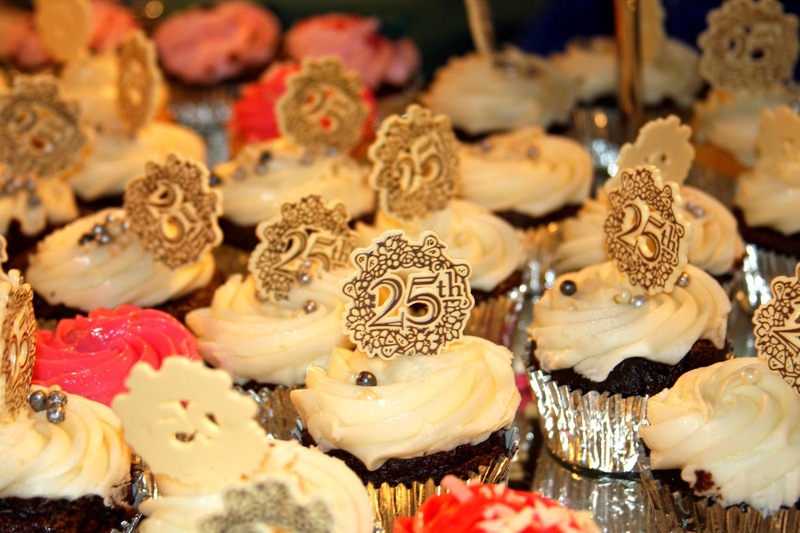 logos, a sparkly pen, a Silver Anniversary pin and our 3 free stamp sets, among other things received by all demonstrators who attended!. As always, the display boards were fabulous. Tune in as I post more of convention photos over the next few weeks. This was one of the display boards highlighting this year's 2013-2015bnew In colors. Click for larger image. Here are a couple of the swaps I brought to Convention. I have really gotten into the Yellow and Gray combinations this season. In fact, my Pinterest party board is full of party and wedding ideas using this color combination. Here's a second swap I put together. It isn't too early to start getting organized for this year's holiday season. I didn't get to use this stamp much last holiday, so I was very happy to see it was carried over from the last Holiday mini catalog. With a matching die and two sneak peeks from this year's Holiday mini which will be out shortly -- the Stylish Striped embossed folder and the new 1" Cherry Cobbler grosgrain ribbon-- I'm really pleased with how this card turned out. You'll be pleased to see all of the great new products coming out in the Holiday mini. 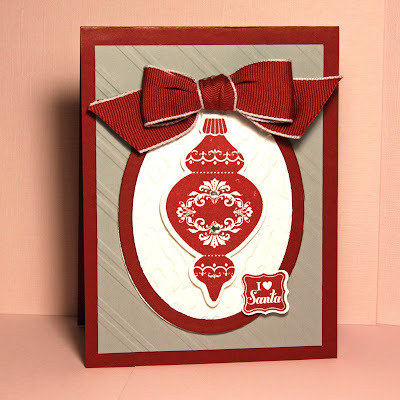 Accessories: Holiday Ornament Framelit, Ovals Framelit, Stylish Stripes Textured Impression Embossing Folder(Holiday Mini Sneak Peek(, Rhinestone Basic Jewels, 1" Cherry Cobbler Stitched Edge Grosgrain Ribbon (Holiday Mini Sneak Peek), and Petite Curly Label punch. Demonstrators, it's not too early to start planning to attend leadership conference in January 2014! You won't want to miss the classes, the camaraderie, and of course, the stamping--in the great state of Texas--where we're famous for doing things big! It was announced at Convention 2013 in Salt Lake City, leadership will be held at the George R. Brown Convention Center in the heart of Houston. I'm already looking forward to a great conference! Start making your plans to attend now. 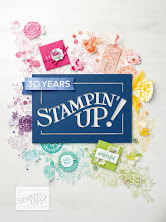 This is a perfect time to think, about signing up as a Stampin' Up! demonstrator. Enjoy putting together a starter kit with just the items you want, plus pick one of four project kits for free in addition to your starter kit. Offer good between July 15 until August 31, 2013. 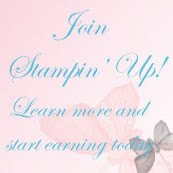 Read more about the benefits you'll enjoy when you sign up as a Stampin' Up! demonstrator...including attending Stampin' Up! Conferences and events. 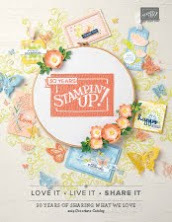 If you live in Houston, don't miss this great opportunity to see what stamping with Stampin' Up! products is like this coming January.